If you have been following Lighting Rumours’ Patreon page, you may have already seen that we recently received a pre-production sample of the Godox A1. This little device created quite a buzz on the internet when it was first announced, because it allows smartphones—such as the iPhone, but later Android devices—to trigger studio flashes. 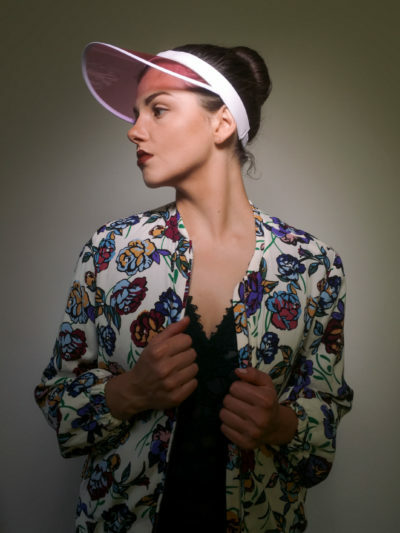 We at Lighting Rumours have had some time with this new product and here are our first impressions. 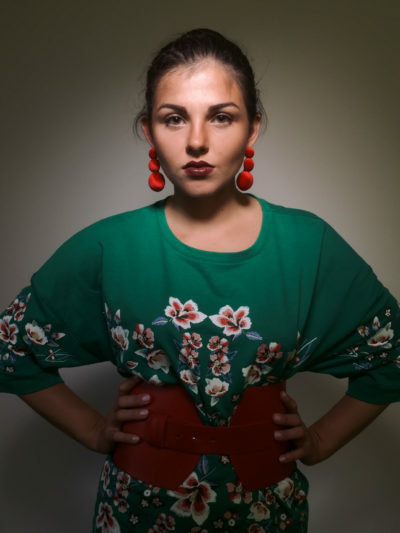 If you are used to dealing with big and heavy strobes, you will be surprised with how small and light this little device is. It is really meant as smartphone accessory and be easily carried in any jeans or jacket pocket. There is a tiny screen on top to provide you with current settings and some basic buttons to change the modes. In practice you wont be using much of it because everything on this flash is meant to be controlled with a smartphone. The internal battery of the Godox A1 can be charged using a USB-C cable. It has both a Xenon flash tube and a LED modeling light. The flash has a guide number of 8.1 and the LED is rated at 1 watt. Besides being compatible as a slave flash for the Godox 2.4 GHz system, the flash can also act as master when it connected to a smartphone through Bluetooth 4.0. Although I am not sure why, there is also a 2.5mm jack on the device to use other devices to trigger the flash. Because of the smartphone there is a limitation on the sync speed that can be used. Do not expect any possibilities to exclude ambient light, because the sync speed is limited to 1/45 second. Considering that we have used pre-production hardware and software, we will not go into depth on the app itself. There are still a few bugs in the app that should be resolved soon when Godox pushes a new update to the app. It is also worth to mention that for this review an iPhone 6+ was used. In the app there are three different ways to use the A1. With the camera of the iPhone; as a bridge to the 2.4 GHz system of Godox (so you can change the current power setting of all flashes with the app); or similarly, to change the power of LED lights. 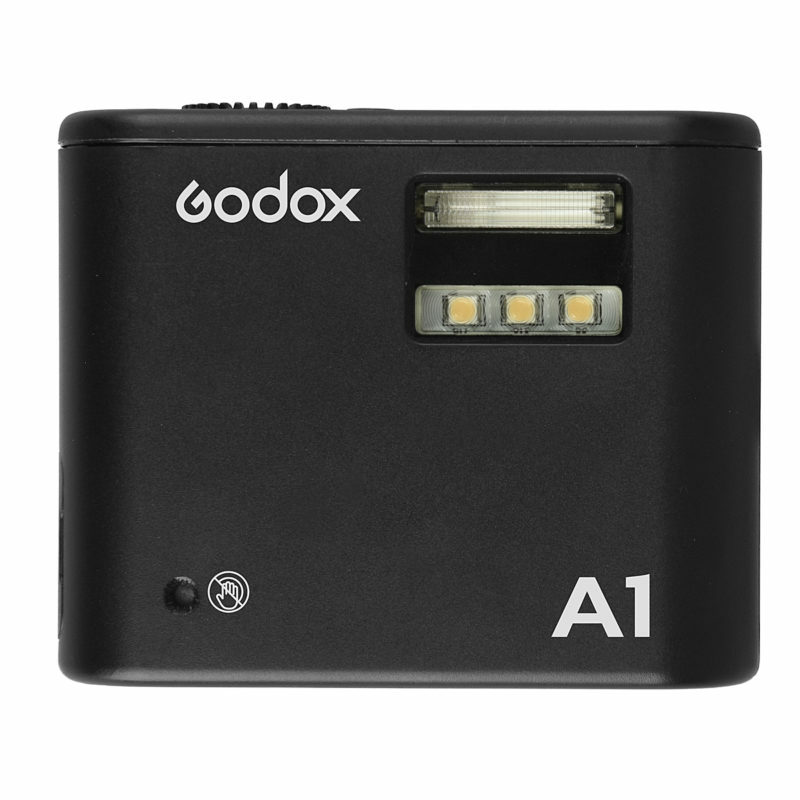 The Godox A1 is a true off-camera flash for smartphones. Besides the manual mode there is also an automatic mode. Unlike modern cameras, this automatic mode does not rely on TTL metering, but on reflecting light on the subject. That is also why it is important that you do not cover the small hole on the front of the unit which houses the sensor. On a few occasions I brought the Godox A1 with me to take some pictures of friends at parties. Although sometimes it is not very convenient to use, I always had a lot of fun with it. 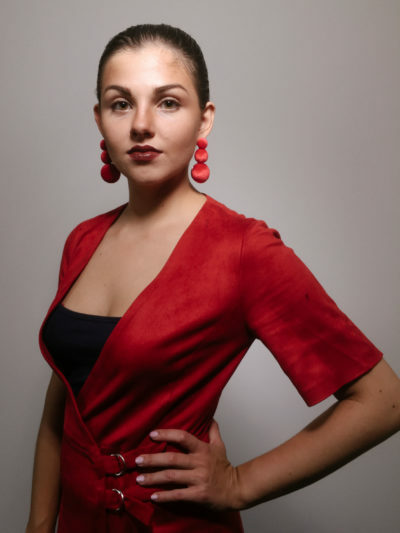 It can take a little bit of fiddling before you get everything right, but when you do the quality of the shots are quite decent, since due to the off-camera lighting the light quality is much better. Using the A1 to trigger studio flashes is quite an odd experience. Using my phone to actually take pictures is not something I normally do, but using a phone to get professional-looking photos (or kind of) is rather pleasing in a way. I am quite a geek myself and I quite like the fact that the A1 brings two different worlds together. I personally liked to shoot with my iPhone but it is not something I would normally do. It is good because it makes you forget about the camera and focus on the light. The camera built into the iPhone is also rather limited. With my normal DSLR I prefer to use hard light and with the iPhone this is not so easy to do. Dynamic range is rather narrow, resulting in blown highlights. Also, the fact that you shoot in JPEG pushes you to get it right in the camera, and not in Photoshop. 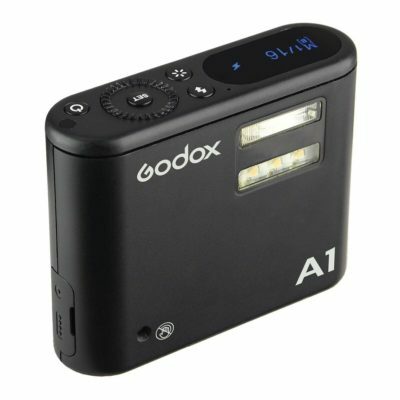 The Godox A1 allows you to use your smartphone to control the flash exposure settings. If you have been using the Godox X1 you know why this has potential. Even after intensive use, I still consider that changing the power using the X1 transmitter is annoying. By using your phone to change the power you can do it much more intuitively. Godox have shown again that they are more than just another Chinese flash manufacturer. They innovate and deliver quality. There are still things they can improve on, but what makes them unique is that they can bring innovations to the masses for a fair price. The A1 is a great example of this. This little device packs a number of unique features that have not been seen before. And all this for a price that does not break the bank. Perhaps it is not the most useful tool for photographers, but for $70 it is a great gadget that also can be used in a serious way. Although the sample we have received is a pre-production sample, it performed well in our testing. There are still some improvements to be made in the app and at the moment there is no Android support yet, but I am sure of it that Godox is working on both aspects. I personally think the Godox A1 is very interesting and more important, it is a lot of fun.